Well, well, I bet if you asked your Senator or Congressman, they would say they have never heard of this law. And who was the last President who enforced this law? A President and a Democrat. WOW! IT PAYS TO KNOW YOUR HISTORY! It's been law for over 60 years... 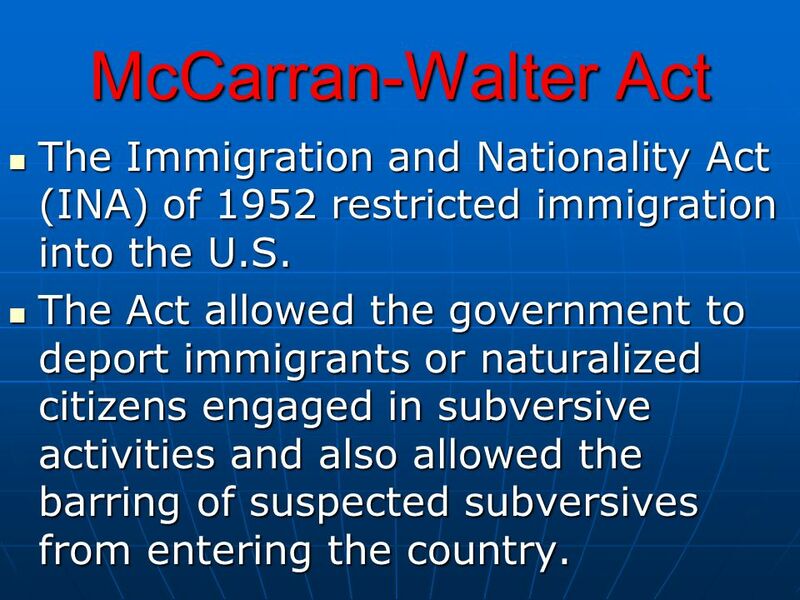 Interesting Bit of Legislative History - McCarran-Walter Act of 1952 Trump was recently severely criticized for suggesting that the U.S. should limit or temporarily suspend the immigration of certain ethnic groups, nationalities, and even people of certain religions (Muslims). The criticisms condemned such a suggestion as, among other things, being “Un-American,” dumb, stupid, reckless, dangerous and racist. Congressmen and Senators swore that they would never allow such legislation, and our (Muslim) president called such a prohibition on immigration 'unconstitutional'. Well, as Gomer Pyle would say, “Surprise, Surprise!” It seems that the selective immigration ban is already law and has been applied on several occasions. 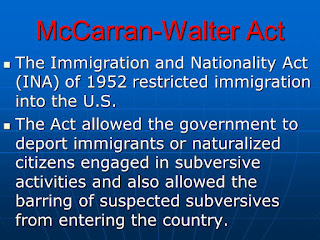 Known as the McCarran-Walter Act, (the Immigration and Nationality Act of 1952) allows for the "Suspension of entry or imposition of restrictions by president. Whenever the president finds that the entry of aliens or of any class of aliens into the United States would be detrimental to the interests of the United States, the president may, by proclamation, and for such period as he shall deem necessary, suspend the entry of all aliens or any class of aliens as immigrants or non-immigrants or impose on the entry of aliens any restrictions he may deem to be appropriate.” The act was utilized by Jimmy Carter, no less, in 1979 to keep Iranians out of the United States, but he actually did more.